KAYANZA July 27th (ABP) – Minister of Communication and Media Serges Ndayiragije calls on media professionals to focus information on sustainable development projects and reduce those that do not have public interests, it was disclosed in a workshop he organized at Musumba Hill’s Hotel for media professionals and spokespersons of different Ministries on Thursday. He said that the meeting follows the one made in dates from 26 to 27th April 2018 which was preparing the referendum elections last May. He thanked the National Media Council (CNC) for the step it has taken in the regulation of the media and, as a result, called on the same Council to privilege the dialogue and pieces of advice and not to put forward the sanctions. 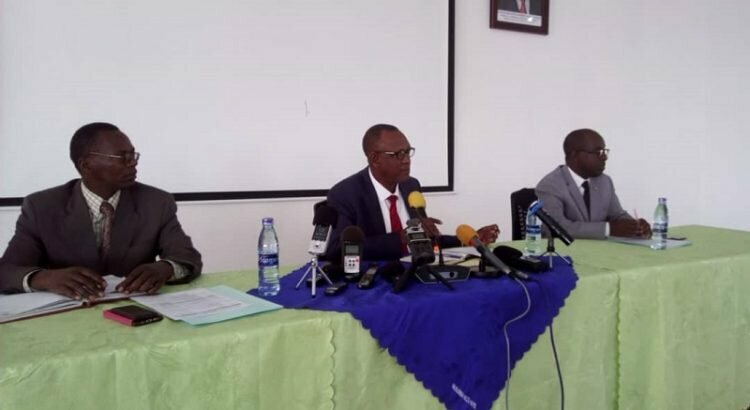 Minister Ndayiragije asked media professionals to give priority to country development-oriented information and avoiding unnecessary information. Mr. Ndayiragije proposed to compose a hymn reserved for journalists and that will be used whenever there is a meeting organized for media professionals. CNC Chairman Nestor Bankumukunzi congratulated the media on the achievements and the respect of the law in the exercise of their profession. He also reiterated his commitment to good collaboration with the media. He later asked media professionals to move forward while promoting the country’s interest. In his welcoming speech, the Kayanza governor’s socio-cultural adviser said that Kayanza province is peaceful and that the construction of various infrastructures is under way. Mr. Melchior Nyabenda reported that the province’s people are going about daily activities and that the 4-floor provincial office and a modern Gatwaro stadium are being built. Moreover, he added, the people of that province contribute to the 2020 elections. The second day of the workshop for media professionals is reserved for a moralization session that will be moderated by the President of the Republic Pierre Nkurunziza.